Since 1892, loyal patrons have been enjoying unique Italian style confections at Ferrara Café in the heart of New York’s Little Italy. Cento is proud to provide many of these same quality Ferrara Italian specialty foods, from the famous torrone nougat candy to a variety of pasta cuts. Ferrara’s signature confectionary items include baba cakes, panettone, sfogliatelle, cannoli shells and cannoli cream. Each item generates an excellent Italian taste that is sure to satisfy. For more than 100 years, the Ferrara brand has proudly maintained the reputation of superior quality and taste. 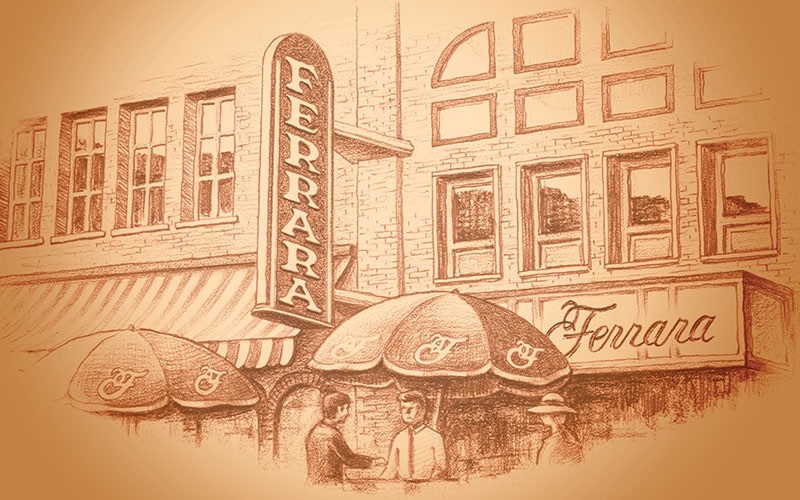 Ferrara’s old-world recipes preserve the rich history of these traditional Italian confections that have been enjoyed at Ferrara Café, America’s first pasteria and espresso bar, since 1892. Each made with the highest quality ingredients and authentic recipes, Ferrara confections such as colomba, panettone and torrone are often eaten in celebration with friends and family during the holiday seasons but can be enjoyed all year long. The Italian tradition of sharing torrone with friends and family dates back to the year 1441, when the Duke of Milan gave away his daughter in marriage. As part of her dowry, the Duke gave the city of Cremona to the groom, symbolizing the gesture with a commissioned replica of the city’s bell tower, the “Torrione”. This creation was served to noble guests and the wedding and instantly became synonymous with celebrations and festivity. Today, Ferrara Torrone preserves the candy’s tradition and rich history. 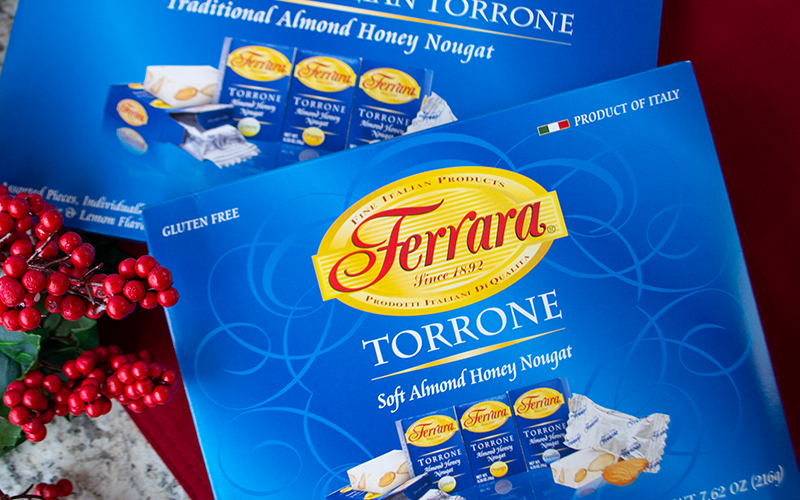 Made from an old-world recipe using only the finest ingredients available, Ferrara Torrone is a delicious confection, free of artificial colorings and preservatives. Share in the tradition and enjoy Ferrara Torrone with those at your table.